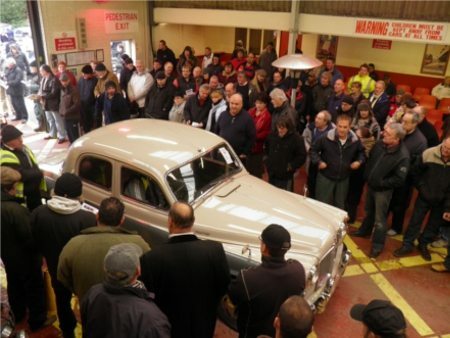 Classic Car Sale on 26th April this month. We already have a variety of different classics entered in the sale, including a 1948 Jowett Bradford, a 1957 Chevrolet 4.7 Belair, and a 1989 Porsche 911 Carrera Cabriolet Sport. Entries are still available. Enter today to ensure your vehicle is included in all our marketing materials, including the main classic car magazines and publications. For more information, contact Chris Holmes on 07767 683653 or contact the office for an entry form.